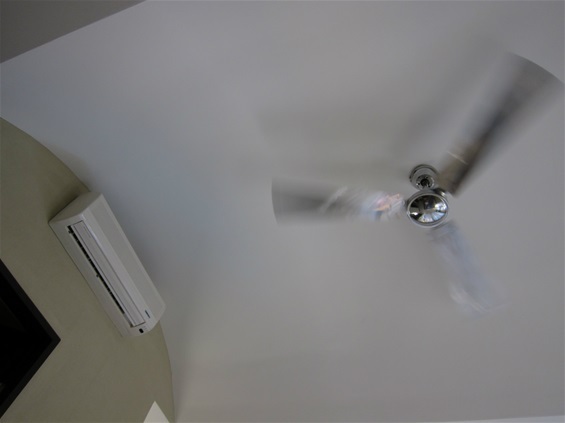 Fan or AC - That is the Question! Almost every room in every house here has a ceiling fan and an AC unit with a remote called a split. You can chill down a room in minutes with a split, but empty your wallet just as quickly. EVERYONE has WARNED us to be extremely careful with electricity down here. Using the AC can skyrocket your bill from several hundred a month to $600 to $800. We are liking the fan, but tonight we finally broke down and treated ourselves to several hours of AC in the living room until bedtime.